At 4 feet, 11 inches, Neha Satak from Beawar in Rajasthan stands tall in the crowd of young entrepreneurs today. 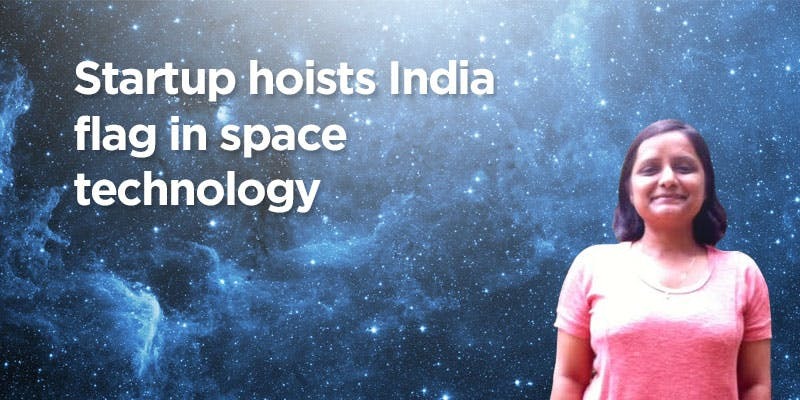 Giving up promising prospects in the US, she returned to set up a space technology company out of India in 2014. Astrome Technologies, the company she started with Prasad HL Bhat, Chairman and CTO, is all set to shake up how internet connectivity is available not only in India but also everywhere else in the developing world. If you thought Google’s Project Loon and Facebook’s solar drone project were mind blowing, then listen to this. “Imagine if you are able to stream a full HD video from any remote location in India. That is the goal of our company in 2020. 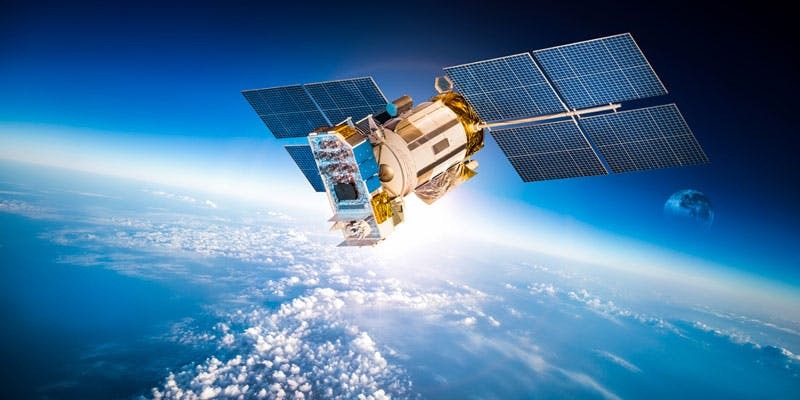 We plan to provide broadband internet service using a constellation of satellites in low earth orbit with our patented MM wave technology,” says Neha. What this essentially means is that her company will be delivering internet from space. Ground technology has to do a lot more in terms of money and effort to provide internet connectivity to non-urban areas. In India, the number of internet users is growing fast — with 277 million users, it has surpassed the US to become the second largest internet user market after China – but in terms of internet penetration to the non-urban areas a lot of work still remains to be done. says 31-year-old Neha, who is the CEO of her company. In 2013, Google launched its Project Loon using high-altitude balloons to create an aerial wireless network. In July this year, Facebook’s solar-powered drone, which is designed to beam internet to remote regions, successfully took its first flight. With such giants taking over the space, does a puny startup from India stand any chance of success? So what stops the space giants from doing this? “They are not concentrating on developing core technology yet,” says Prasad. There are different elements to this technology: there’s the transponder, the satellites themselves, and then there’s the launch. “For example, Space X is excellent in space launches. OneWeb has set up a factory in Florida to manufacture satellites. Both are using technology which is tested and established. Whereas, we are venturing into an industry with technology which is new,” says Prasad. For the next two years, Astrome will focus on building this technology, while in the third year, they will launch three to five satellites, which will provide connectivity to IoT, edutech, tracking and monitoring, and telemedicine sectors. Following that, the startup will launch its full constellation of 100 to 150 satellites, which will give 24/7 internet. At the moment, besides the two founders, there are five other people in their team. “We have some interns in Europe, and a panel of advisors from IISc and IITs,” says Neha. Astrome Technologies was seed funded by IISc and operates out of the Entrepreneurship Centre Building, Society for Innovation and Development (SID), Bengaluru. The founders are now focussing on angel investment and looking at raising funds in stages. “As a company, we understand space business is tricky from the investors’ point of view. Our approach has been to raise funds in stages. We want to create a model where we take money, create value, and monetize it and then move ahead into the next phase,” says Neha. The two founders are creating Astrome as a global company out of India, and a for-profit one. Neha spent six years in the US where she completed her PhD but ultimately wanted to start something on her own. “I always had this dream to start a company in the aerospace field,” she tells me. She would routinely write to her IISc professor (she completed her masters in Aerospace Engineering from IISc) talking about this dream of hers. Around the same time, Prasad, who was working on an e-commerce startup, was sharing his similar dream with the same professor. “Our professor put us in touch with each other when he realised we both wanted the same thing,” says Neha. The two had, however, met for the first time while working on a project in IISc together. “That was when our space dream started,” says Prasad. They designed and built micro-aerial vehicles (a miniature version of drones) for surveillance that could be hand-launched. Prasad, who hails from Shimoga, did his Systems Engineering from Surathkal and then moved to Bengaluru to join IISc for his masters. He subsequently did his PhD also from IISc, spending a good seven years there. 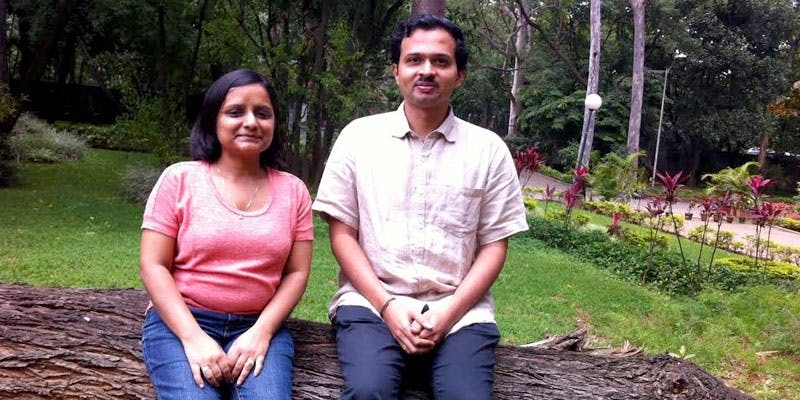 Prasad credits his wife for supporting his entrepreneurial dreams. Neha belongs to a small town called Beawar, which is an hour’s drive from Ajmer in Rajasthan. She studied there till Class X and moved to Jaipur for Class XI and XII. She was always interested in space, and attributes a 1960s American television sitcom that inspired her to pursue that dream. “Funnily enough, I would love to watch ‘I Dream of Jeannie’, where an astronaut falls in love with his female genie. It was aired on Sony channel dubbed in Hindi. I would watch it without fail,” she says laughing. In fact, both Neha and Prasad are sci-fi buffs, and one day hope they can travel to space. “I don’t think there’s anyone working in this field who will not want to go in space,” Neha says. Despite being born in a Marwari home and having grown up in a small town, Neha was never under pressure to conform. Her parents encouraged her and her two siblings to pursue higher education. “My mother spent her whole time thinking about our careers. I can see how Rajasthan has changed so much now. If one family sends a daughter to study engineering, others also want to do the same. Our milkman, who is also a school teacher, was asking my mother one day about how to send his daughter to an engineering college,” says Neha. Clearly, Neha has been able to inspire her town. Though it’s one small step, but as the famous saying goes, it could be a giant leap for humankind. A fact worth rejoicing as we mark India’s 70 years since independence.